We have used trucks, we have used SUVs, we have used sedans, and we have more. If it has four wheels and a motor to make it go, then chances are we have it in our extensive used inventory. We love connecting great people with great cars, and we have been playing matchmaker for over 50 years. Every single vehicle in our inventory undergoes a complete bumper-to-bumper inspection. 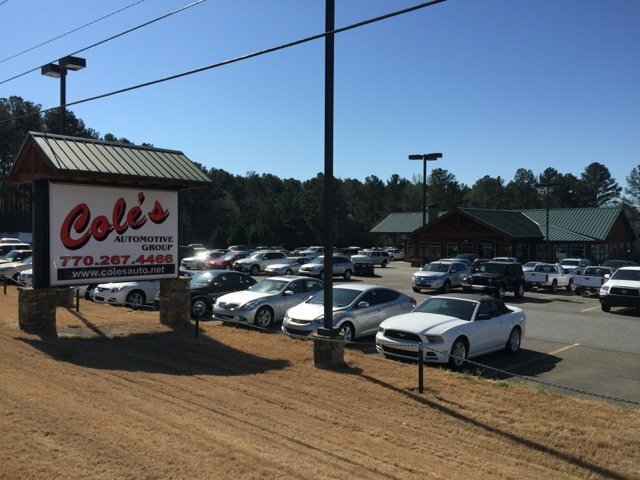 Not only will you get quality at Cole's Automotive Group, but we will take the time to find you something that will suit your budget and your needs. What’s more, you never have to be worried about getting pressured into a purchase. At Cole's Automotive Group, we don’t believe in pressure and we don’t practice pushy sales tactics. Cole's Automotive Group is a family owned business that began in 1965. Though our business has grown and the automotive industry has changed, we still do business the old-fashioned way. That means honest sales and the final transaction still concludes with a handshake. We believe in looking our customers in the eye, and only an honest business can claim that. Come down to see us for yourself, or browse our entire inventory online today.